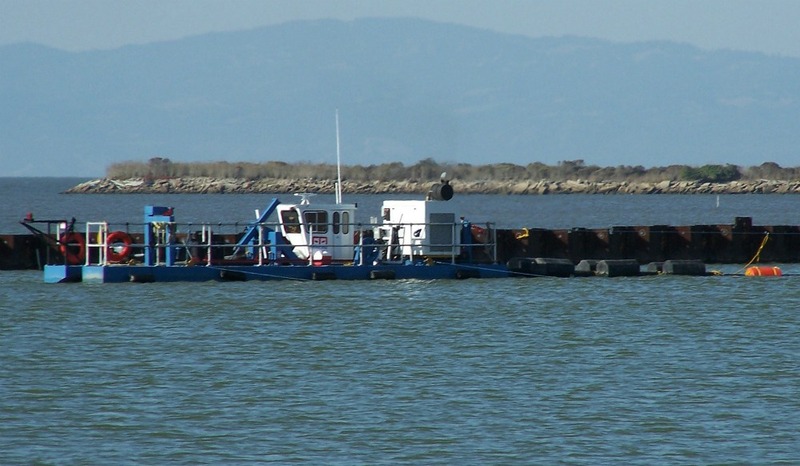 The Castro Cove Sediment Remediation Project involved dredging over 100,000 cyd of impacted marine sediments in San Pablo Bay and placing them in an existing oxidation pond on the Chevron Refinery in Richmond, CA. 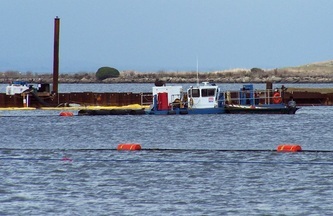 The Area of Concern (AoC) was isolated in Castro Cove using a temporary sheet piling enclosure to minimize impact to the bay. 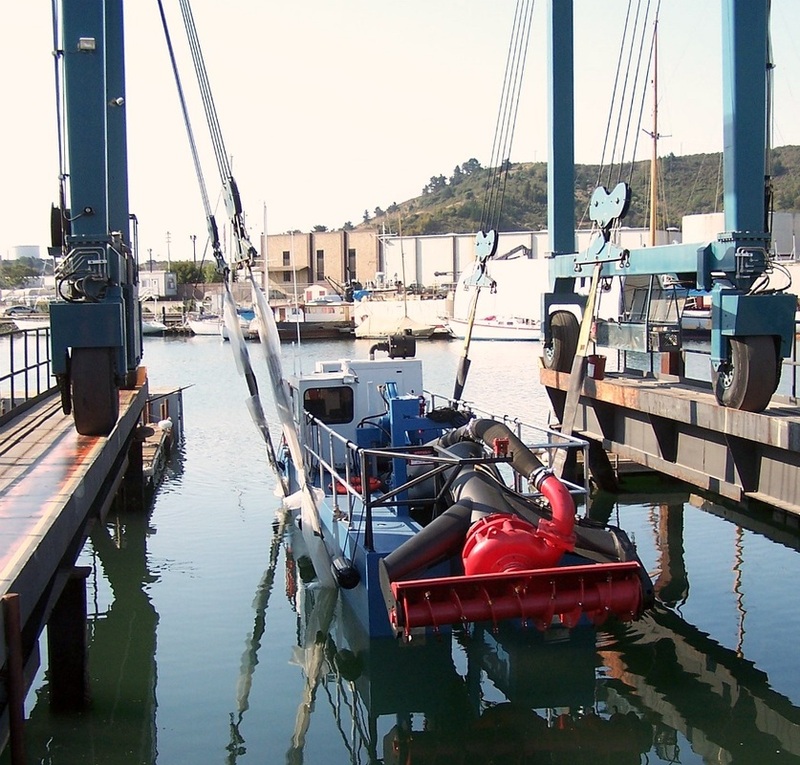 DMS hydraulically removed sediments from the AoC via a custom built 14-inch HDPE SR-17 pipe line to a depth of 2.5 feet below existing mud surface. 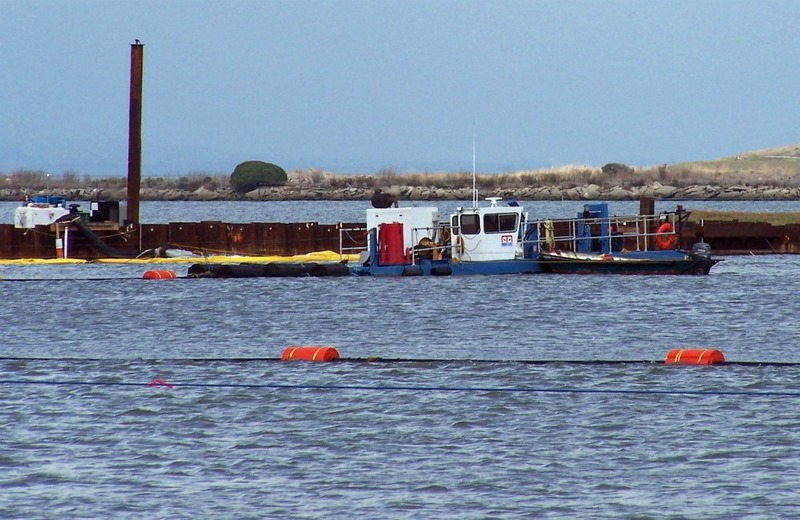 The water was separated from the sediment with two settling ponds located on the refinery property, and returned to the AOC with a 12 inch HDPE SR-17 pipeline, also constructed by DMS, to keep elevations constant in the AOC. 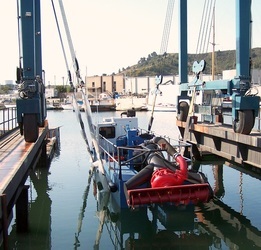 To transport water back to the AOC, five diesel powered pumps (three 6 inch and two 8 inch pumps) and three flashboard weirs were used to control water depths in the settling ponds. 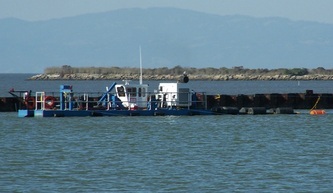 For initial water levels in the AOC, a 12-inch diesel pump was set up with automatic control float switches, which transported water through a specially designed fish screen to keep entrance velocities below .2 ft /section so as not to entrain any Delta Smelt (Endangered species). 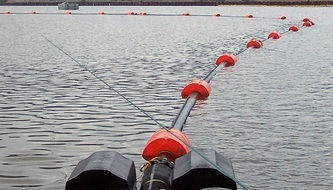 The intake screen was constructed with an automatic self cleaning screen to ensure fish screen entrance velocities did not climb over the course of the project. 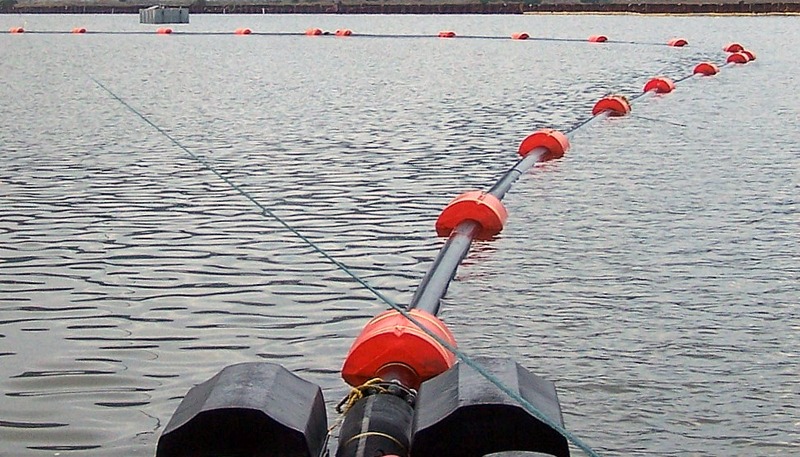 DMS also managed the decant water via our floating data collection platforms and data sondes; multi-parameter instruments that collect water quality data automatically and transmit the data via a cell tower connection to a base station located on site. 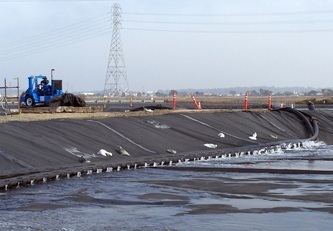 The platforms allowed DMS tomonitor water quality as it circulated through the site, and did not cause variation to water of the bay when discharged back into the cove. 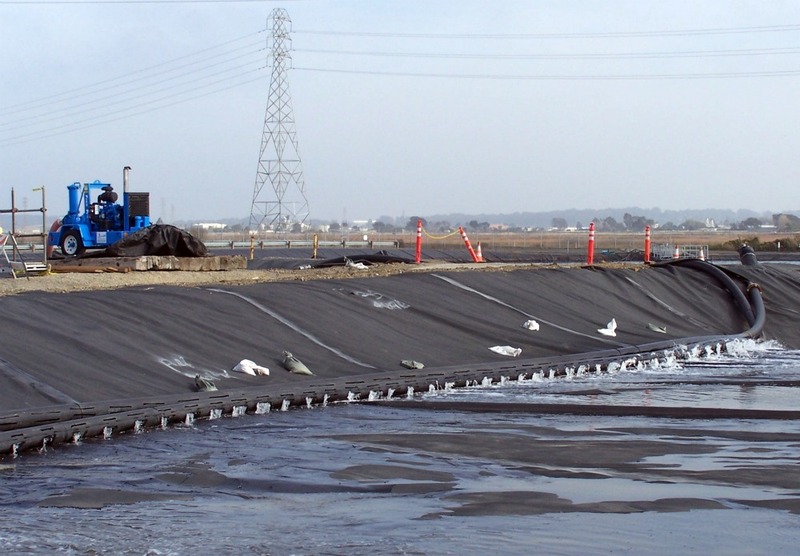 The sediment placed onsite at the Chevron refinery oxidation ponds was treated naturally with elevated levels of oxygen and bacteria pumped through the material to break down potentially hazardous constituents.